← Things I wish I knew before getting older. Look after your body its the only one you have. I am working on my wee chat in Arran Wednesday, 9th Aug 2017, 7:30pm at Corrie & Sannox village hall. I am looking up some of my old slides and visits over the years to this wonderful Island where I have spent many happy trips since a bairn over the years. 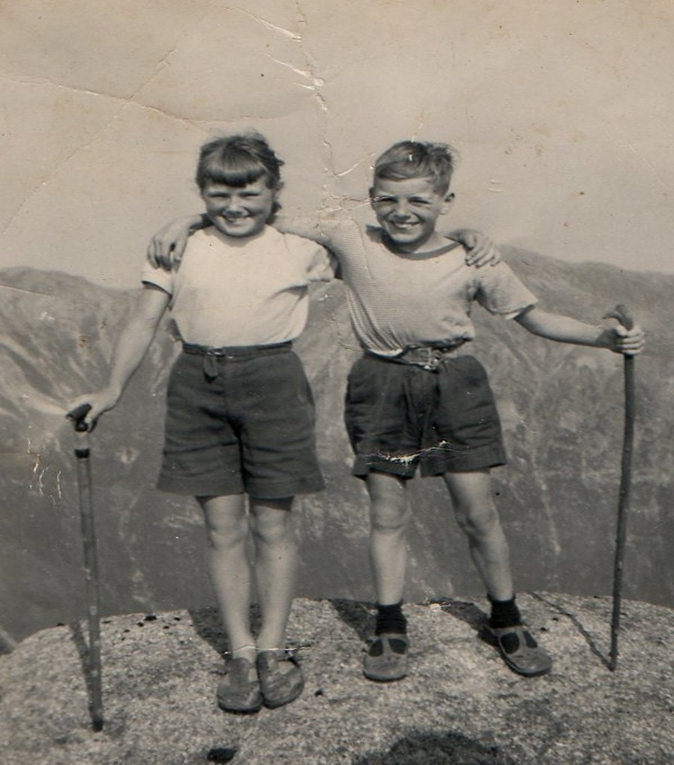 My Dad and Mum took us here on many holidays and we always spent lots of time on the great hills and swimming in the sea and rivers. Many years later I was to spend many trips climbing on the great cliffs that are all over this specail place. My visits took me all over the Island my Dad told me the stories of the murder on Goatfell and the many plane crashes on the Island that we visited, Dad knew where they were and the sad tales and always left saying a prayer at the sites for those who died. To a very young boy this was incredible and I will never forget our days on the A Chir Ridge and the wild scrambling all over the Island. Our races up Goatfell and seeing so many ships in the bay we had a Navy in the late 50’s and early 60’s. The big walks back after days on the hills and collecting bottles with a deposit of three pence used for chips in Brodick. Then the big hike up from Brodick to Corriegills and staying in the McNicols cottage and Archie Robertson who also drove taxi on the Island. The freedom on the Brodick beach and running wild on the shore, the rowing boats in the bay of no Health and safety in those days. What a life and how I looked forward to the adventure every day and how I appreciate them now looking back. 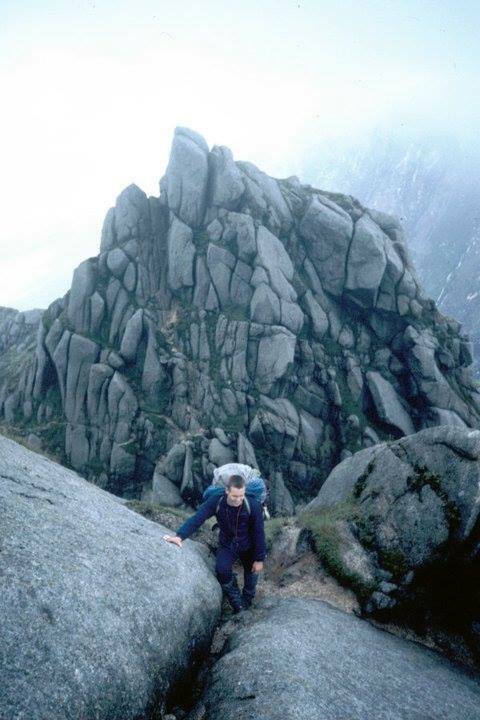 Years of climbing and walking on the superb granite on Cir Mhor. This promises to be a fascinating night with “Heavy” Whalley, who will look back on his long career in mountain rescue, and will have many a fascinating mountain tale to tell. More info about our speaker on his website www.heavywhalley.com. We hope that you’ll not have had yer tea – the Arran Mountain Rescue Team will be flipping their legendary burgers for you! 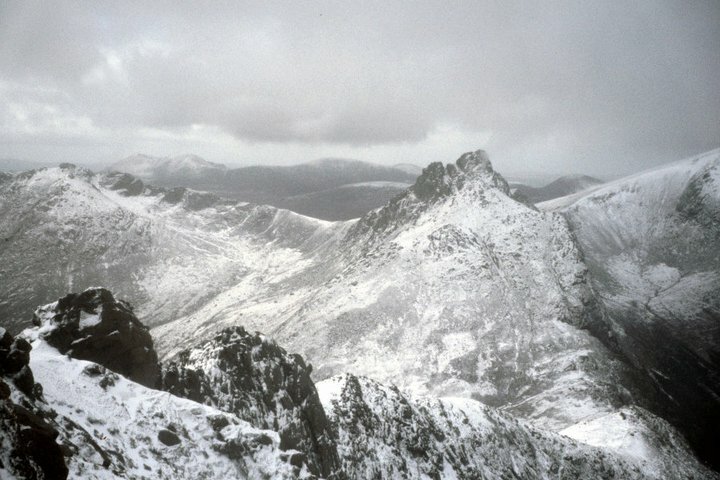 It is hard to believe that I visited Arran with all the RAF Mountain Rescue Teams over the years nearly every years for 30 years. It is a place of incredible wildlife and wild places that mean a lot to me. 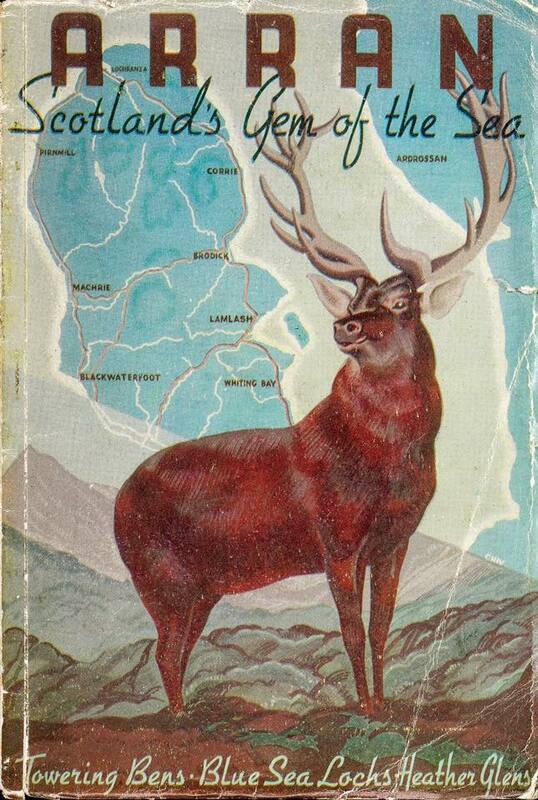 I have lots of stories even from my trips before joining the RAF early Cycling, trips round the Island and even as wee lad picking potatoes in the summer, Geology trips in the great Glen Rosa and Sannox whilst at school and even a golfing trip for a week. 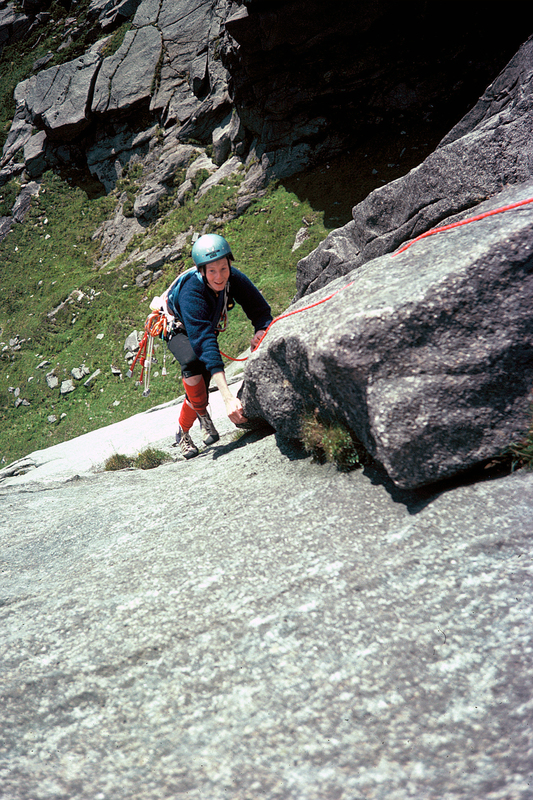 In my early days staying at Home Farm and SYHA cycling in up Glen Rosa on hired bikes and climbing badly on the Meadow Face and getting the rope stuck and other adventures that are all part of learning. Just getting the Ferry back on the long trip to North Wales was an adventure after getting caught on the rain on South Ridge Direct, swimming in the pools in Glen Rosa 50 years after my first swim her with Mum and Dad. On the A’Chir Ridge with the RAF Leuchars Mountain Rescue Team . This entry was posted in Aircraft incidents, Corbetts and other hills, Enviroment, Equipment, Gear, Lectures, Local area and events to see, Plants. Bookmark the permalink.